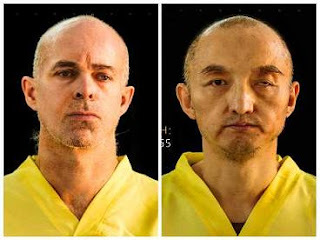 The Islamic State group said it was holding a Chinese (Pictured right) and a Norwegian hostage and asked for an unspecified ransom for their release. The IS announcement came in the latest issue of the Sunni Muslim jihadists' English-language magazine, Dabiq, distributed on Twitter. It gave no details about where or when they were captured, or where they are being held. It did not say how much money was being demanded, nor when the opportunity to pay it would expire. It identified the Chinese hostage as Fan Jinghui, a 50-year-old consultant. Speaking at a press conference, Solberg named the Norwegian hostage as 48-year-old Ole-Johan Grimsgaard-Ofstad, connected with a university in Trondheim, and said he had been abducted shortly after arriving in Syria in January. “I can confirm that a Norwegian citizen has been kidnapped and is being held prisoner in Syria,'' she added in a separate statement, adding that a crisis cell had been formed to follow the case.